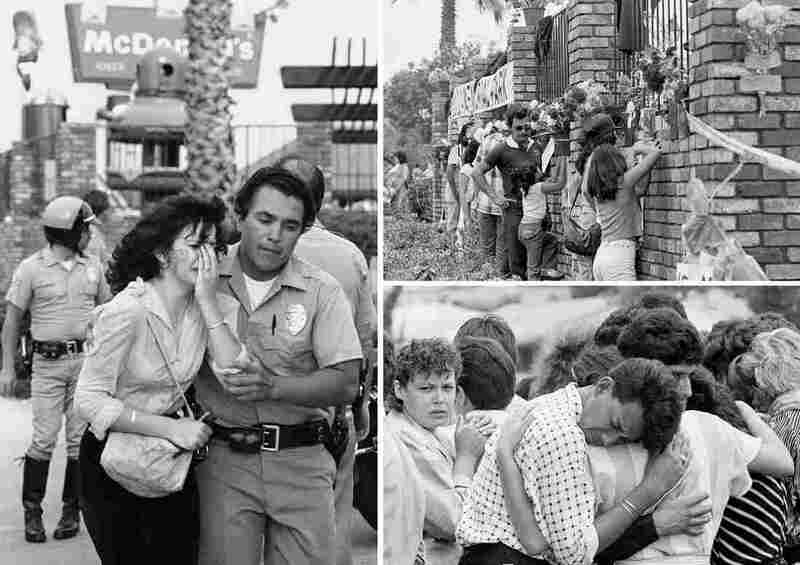 A List Of The Deadliest Mass Shootings In Modern U.S. History : The Two-Way A gunman opened fire at a nightclub in Orlando, Fla., and killed at least 50 people. 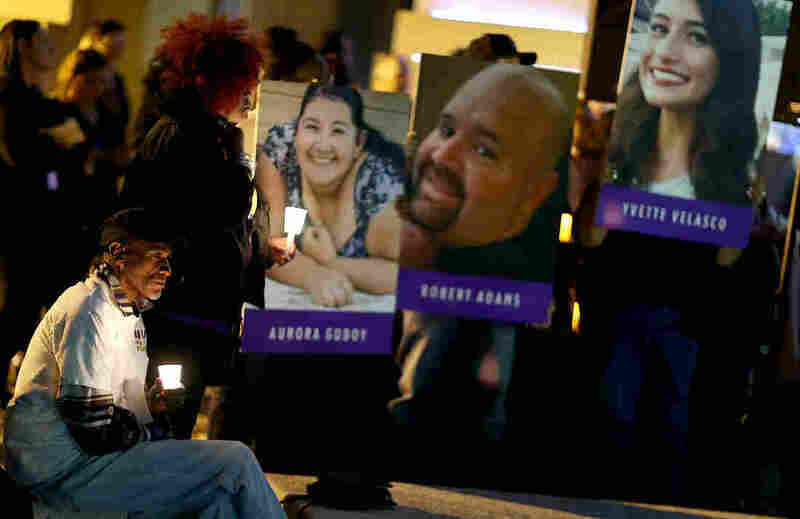 It is the worst mass shooting in recent U.S. history. Here are the others. 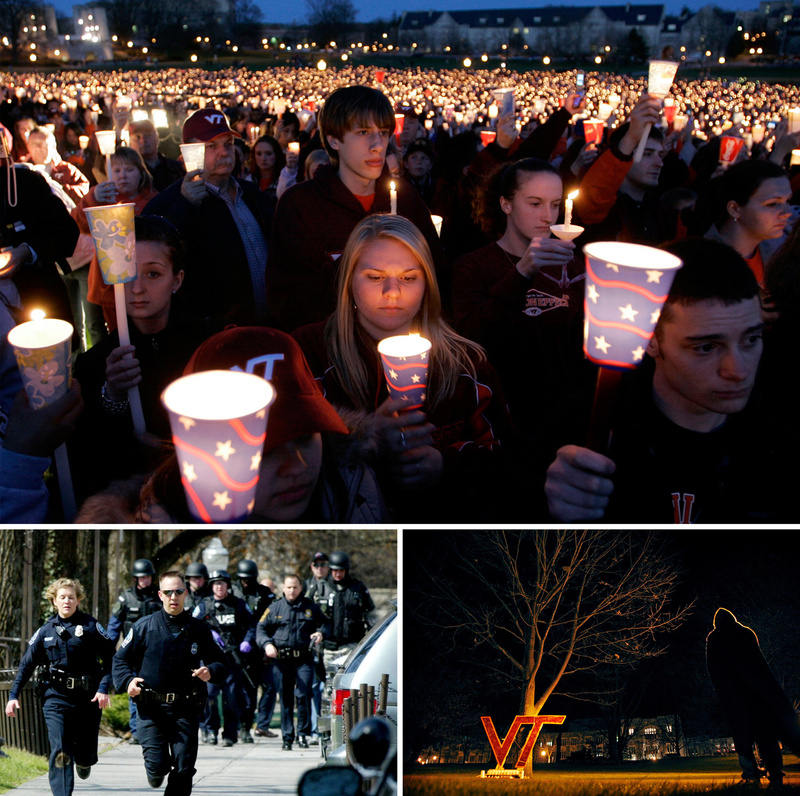 (Top) A candlelight vigil following the shootings on the Virginia Tech campus in Blacksburg, Va., on April 17, 2007. (Left) Blacksburg police officers run from Norris Hall on the Virginia Tech campus in Blacksburg on April 16, 2007. (Right) A Virginia Tech student stands by a cardboard "VT" that was part of a makeshift vigil placed on a drill field at Virginia Tech on April 17, 2007. Police say 29-year-old Omar Mateen opened fire at the club that calls itself the city's hottest gay bar. He took hostages, and after a three-hour standoff, police moved in. The gunman was killed, but not before perpetrating the deadliest mass shooting in recent United States history. At least 49 people were killed, and more than 50 were wounded and taken to area hospitals. Mateen was killed during a firefight with police. Seung-Hui Cho, a 23-year-old English major from Centerville, Va., entered the campus of Virginia Tech and opened fire. Thirty-two people were killed, and 17 others were injured. Cho also killed himself. Adam Lanza went into Sandy Hook Elementary and killed 26 people — mostly children — before killing himself. He also killed his mother, Nancy Lanza. In 1991, 35-year-old George Hennard walked into a cafeteria and opened fire with a handgun. He loaded and emptied his gun several times, leaving 23 people dead. Then he killed himself. James Oliver Huberty, a 41-year-old unemployed security guard, opened fire on a McDonald's in San Ysidro using a shotgun and a pistol. He killed 21 people and wounded 19. He was killed by police. Charles Whitman, a 25-year-old student who had served with the Marines, murdered his mother and his wife before climbing the University of Texas Tower with six firearms. He began firing at pedestrians below. He killed 14 people and wounded 31 from the tower. He was killed by police. 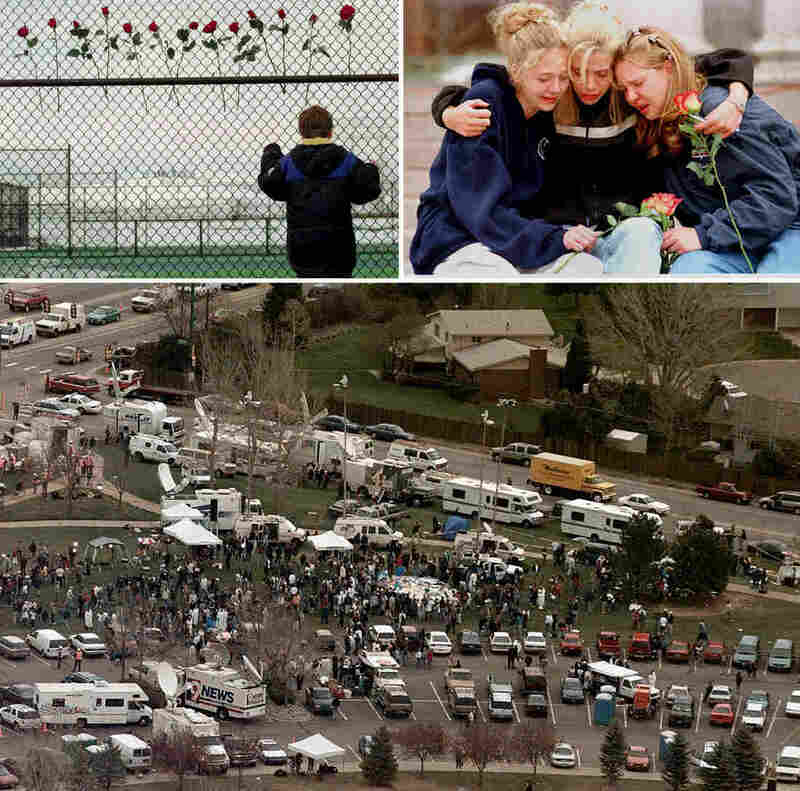 Eric Harris and Dylan Klebold, students at Columbine High School, entered the school with four guns and pipe bombs. They killed 13 people and wounded 24, before killing themselves. Patrick Henry Sherrill shot and killed 14 co-workers before taking his own life. Syed Farook, 28, and Tashfeen Malik, 27, opened fire inside the Inland Regional Center in San Bernardino. They killed 14 people, and they were killed during a shootout with police. Jiverly Wong, a 42-year-old Vietnamese immigrant, opened fire on an immigration center in Binghamton, N.Y.
Wong killed 13 people and wounded four others before killing himself. Maj. Nidal Malik Hasan, an Army psychiatrist, opened fire using two handguns at the U.S. Army post in Texas. He killed 13 people and wounded 30. Hasan was sentenced to death in 2013. Aaron Alexis, a 34-year-old former Navy reservist, opened fire at the Navy Yard. He killed 12 people before police killed him.